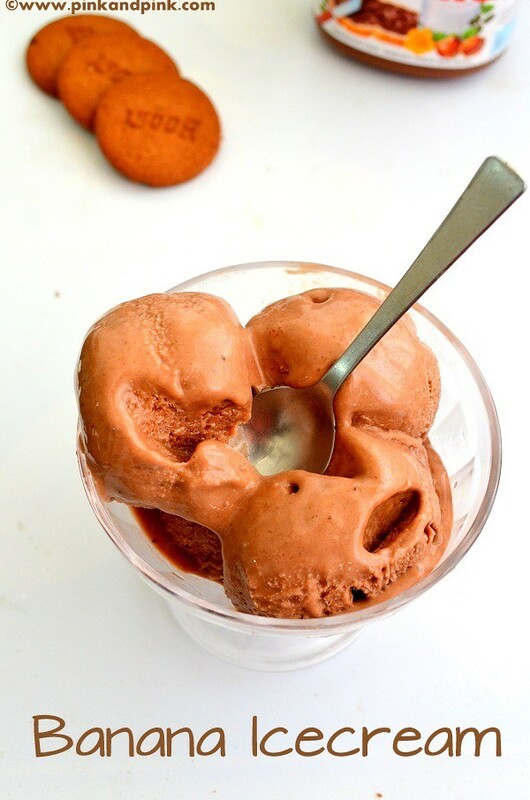 Banana Nutella Ice cream recipe I have shared here is quite an easy homemade nutella ice cream recipe which can be prepared by anyone. Even a kid can make it. Not kidding. I am sure that even your young chef can try her hand on it. I have already posted how to make vanilla ice cream without cream and without ice cream maker. 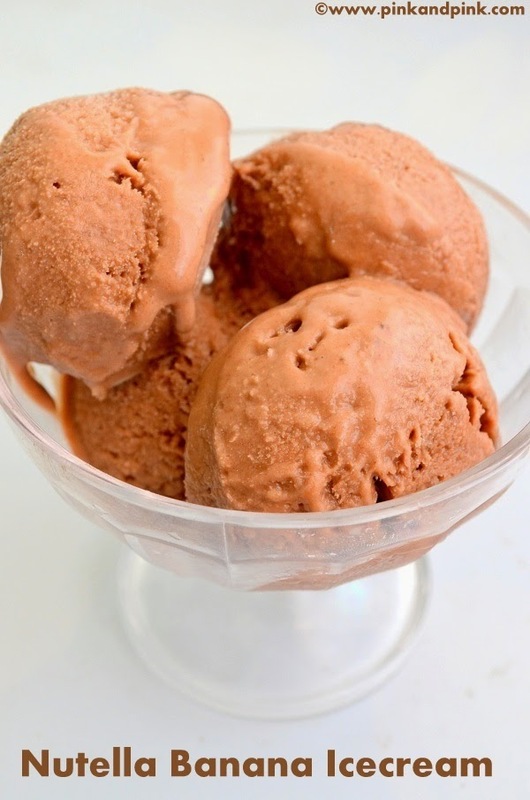 This banana nutella ice cream recipe is easier than that. 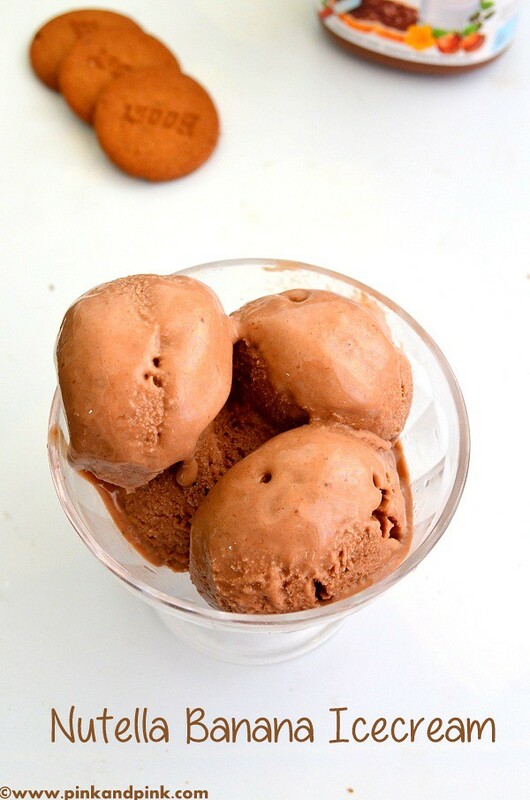 Of course, this banana nutella ice cream is made without ice cream maker and without cream. Sounds good right? And it is a no fail recipe too. You can make this ice cream even though you have not made any ice cream before. Sorry, its already started melting before I could finish clicking it. The recipe is quite simple and the best part is you do not need to whip again and again to get a creamy texture. You need to adjust the sugar based on the sweetness of the banana. You might need to add more or less than the mentioned measurement in the ingredients section. Banana flavor is dominating in this ice cream. If you want it to be more chocolaty, add more nutella. 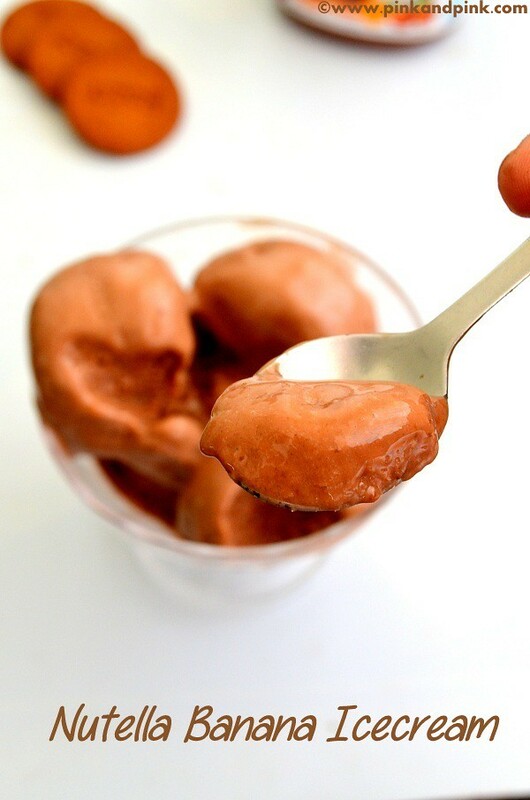 This homemade nutella ice cream requires just 3 ingredients. As the name 'Banana Nutella Ice cream' suggests, it requires Banana, Nutella and Sugar. 1. Cut the bananas roughly into small slices. Keep them in an air tight container and freeze it till they are frozen. I have kept it for one hour. I used one old store bought ice cream box to keep the banana slices and then to keep the ice cream. Take out the frozen banana slices and transfer them to the mixer or blender. Add nutella and add sugar if required. 2. Whip the banana, nutella and sugar well till they become soft and creamy. There should not be any lumps. You can see some bubbles formed on the top. If you need as soft serve, you can serve it now. Or else, transfer the banana nutella mixture to the freezer safe box. Keep the mixture overnight in freezer. 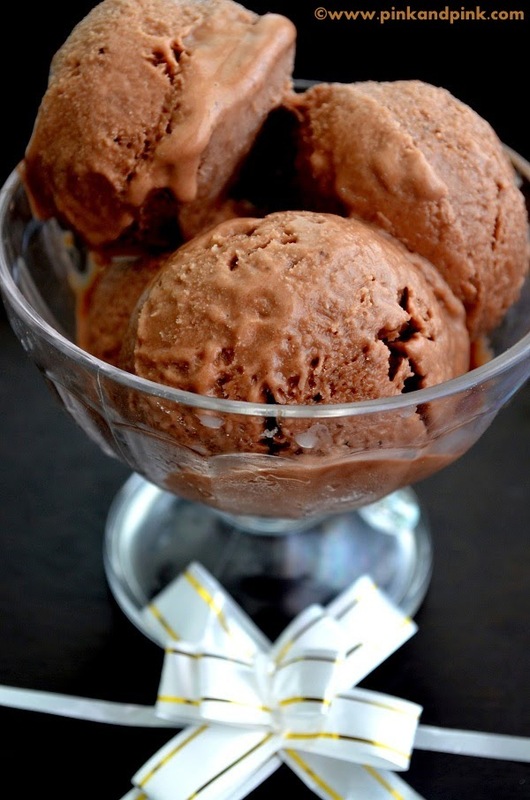 Next day, you should be able to scoop out banana nutella ice cream from the box. If you want soft serve, allow it to melt down before you serve. Now, the banana nutella ice cream is ready to serve. Me, my hubby and kid have heartily enjoyed the nutella ice cream. Hope you liked the Nutella Banana Icecream recipe.